Barcelona has a well-organised and world-class integrated transport system, comprised of subways, trams, buses and suburban railways. It took over a century for this modern transport system to take shape. Let’s read about some of the major developments. The first trams in Barcelona were pulled by horses. Horse-drawn trams were introduced to the city in 1872, closely followed by the introduction of steam trams in 1877. The first steam tram line ran from the Plaça Catalunya to St Andreu. The steam-operated tramway network was rapidly expanded towards the end of the 19th Century, with many people believing this to be the transport of the future. The 45-degree cut corners of residential blocks in the Eixample district were in fact built to facilitate the movement of steam trams around this new area of the city. Although electrification of the tram network followed, and there was further expansion of the tram lines early in the 20th Century, the ascendancy of the tram was to be relatively short-lived. By 1971, all of the tramlines except that of the Tramvia Blau had been removed, having been replaced by subway, suburban rail and bus services. In 1863, the first suburban rail service in Barcelona, a line running from Sarrià to the city centre, was opened. Part of this line survives today in its conversion to metro L6. 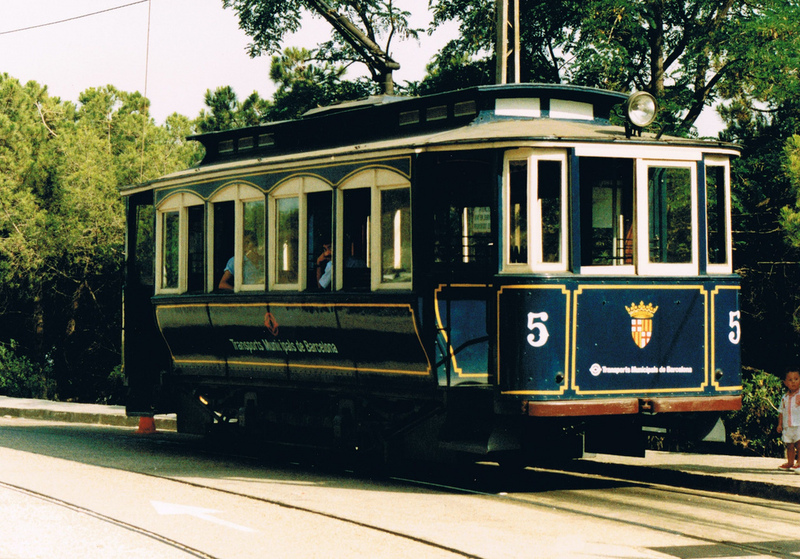 The first funicular to open was the Funicular del Tibidabo, in 1901, followed by the Funicular de Vallvidrera in 1906. 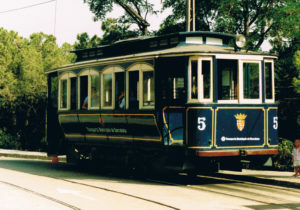 The former carried passengers to the amusement park which was under construction at the same time, while the latter linked the neighbourhood of Vallvidrera in the Collserola mountains to the Sarrià suburban train line. Barcelona’s metro service began life in 1924, with the opening of the first section of line running from Lesseps to Plaça Catalunya. This was to become part of the modern-day L3 line. Next came Monjuïc Funicular in 1928, and the following year, a line running from Catalunya to la Bordeta. This line was constructed in order to link the city centre to the Plaça Espanya and Montjuïc in time for the 1929 Barcelona International Exposition. It has today been extended into the L1 line running from Hospital de Bellvitge to Fondo. Buses were introduced to the city in 1906, with the first permanent urban bus service beginning in 1922. Since then the network has expanded and bus services have evolved to meet the needs of the modern world, connecting all the major districts to the city centre. Public transport was affected greatly by the ravages of the Civil War. Many of the tram lines were damaged by air-raids, and sabotages of the rail networks also took place. In addition to this, there was very little capital available with which to run the transport system. In the aftermath of war, the city’s transport networks were gradually repaired and reinstated. In 1951, the municipal government gradually began to take over the management of transport services which had previously been run by private companies. 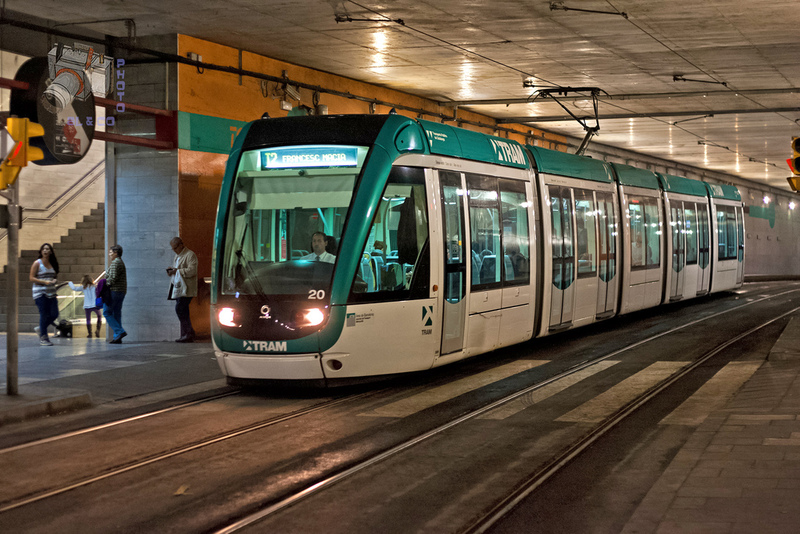 The transport system had been fully municipalized by 1958, and this led to the eventual formation of the TMB, FGC and TramMet companies which are responsible for running Barcelona’s transport systems today. The municipal transport system grew rapidly in the 1980s, with the rail network almost doubling in size and extending well beyond the boundaries of the city. In the 1990s the L2 line was opened, running from Paral⋅lel to Badalona. 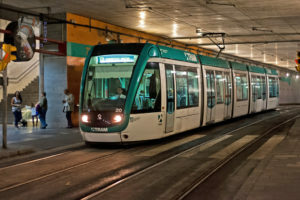 A new tram network was introduced in 2004, comprising the Trambaix (lines T1, 2 and 3, linking Baix Llobregat to the city) and Trambesòs (T4, 5 and 6, connecting Badalona & St Adrià de Besòs to the Sant Martí district of Barcelona). Today’s metro system consists of 11 lines and the Funicular de Montjuïc, with L9 and 10 having been opened most recently (the section of L9 linking the airport to the Zona Universitària opened only this year). Work to extend these lines is still under way. 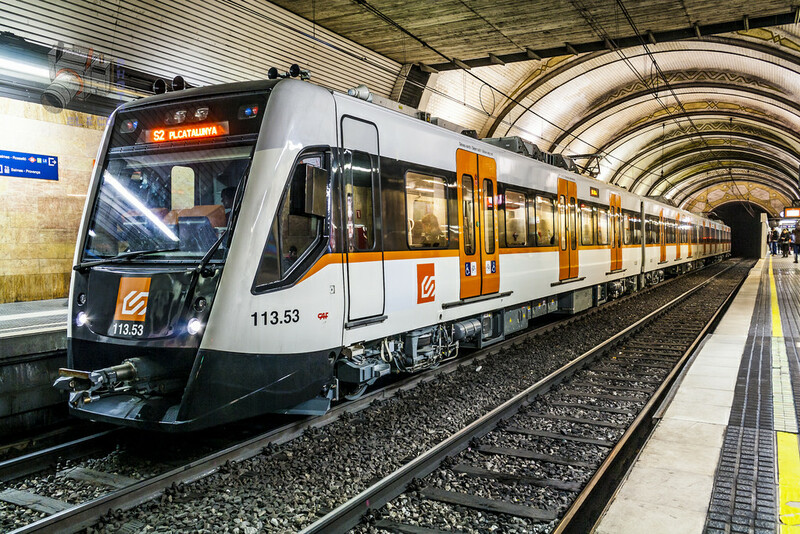 In addition, there is an extensive bus network crisscrossing the urban and suburban areas, with the greater Catalonia region being served by FGC and Rodalies de Catalunya, both of which operate metropolitan services within Barcelona itself. As Barcelona’s public transport fare system is integrated, you can buy a TMB ticket and travel on all of these modes of transport within the urban and suburban area (check the map for the zone boundaries). However, not all integrated tickets include travel to and from the airport. 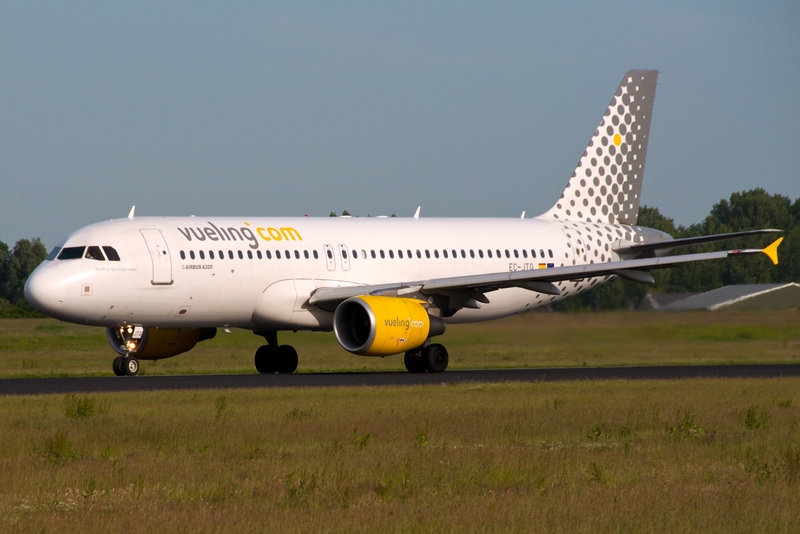 When visiting Barcelona for a short time, you have the option of buying a ‘Hola BCN’ 2,3,4 or 5-day ticket, which includes your travel to and from the airport. If you are staying for a longer period, the T-tickets represent better value, as you have a choice of 10 integrated journeys, 50 journeys within 30 days or monthly tickets (for which a photo-card is required: ask at TMB offices for further details). 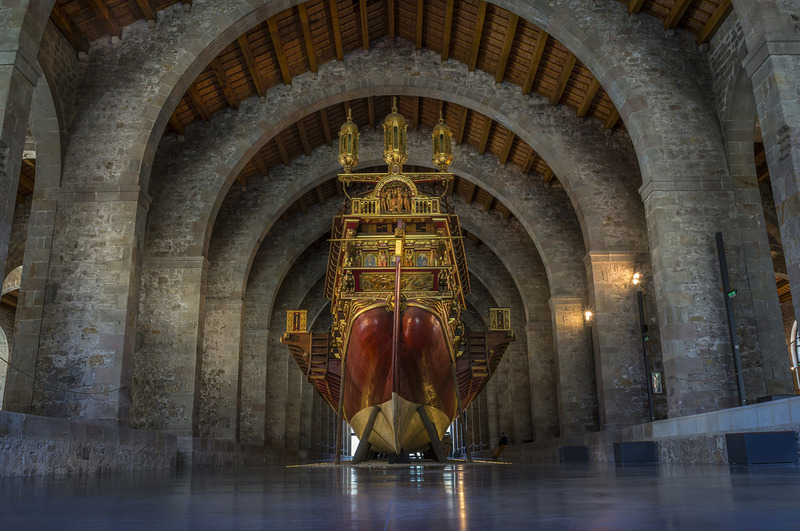 Now you have the transport system at your disposal, visit SH Barcelona for all your short-, mid- and long-term accommodation needs so that you can experience the best of Barcelona whatever the length of your stay. 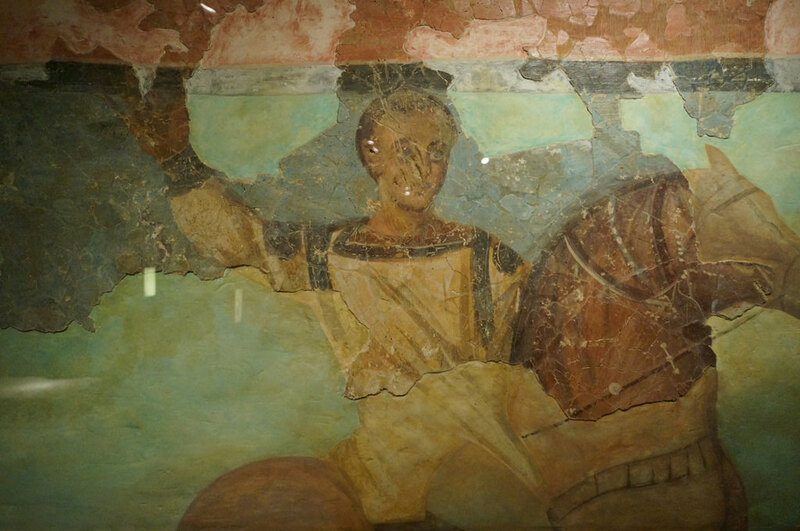 Having studied English Language and Literature at university, Ingrid went on to obtain an MA in Classics. She currently works as a freelance writer, covering a variety of subjects, especially language, literature, history and archaeology.